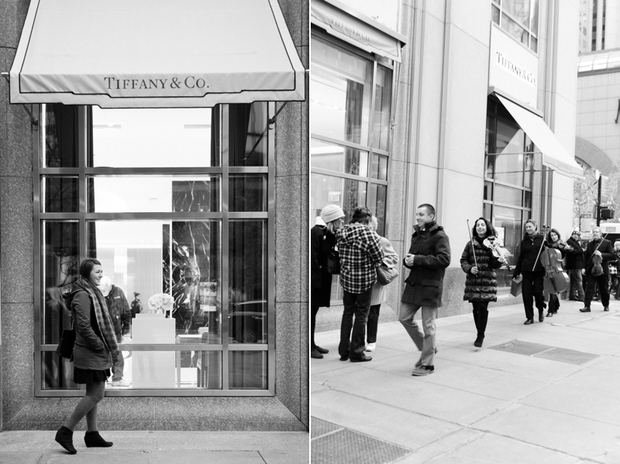 From the ensemble playing “Moon River” to the champagne toast afterwards, this Tiffany & Co proposal is straight out of Breakfast at Tiffany’s. While walking past Tiffany’s, Deema & Holly stopped to fawn over a gorgeous bauble in the window. Suddenly, Deema told Holly to wait there as he walked away. 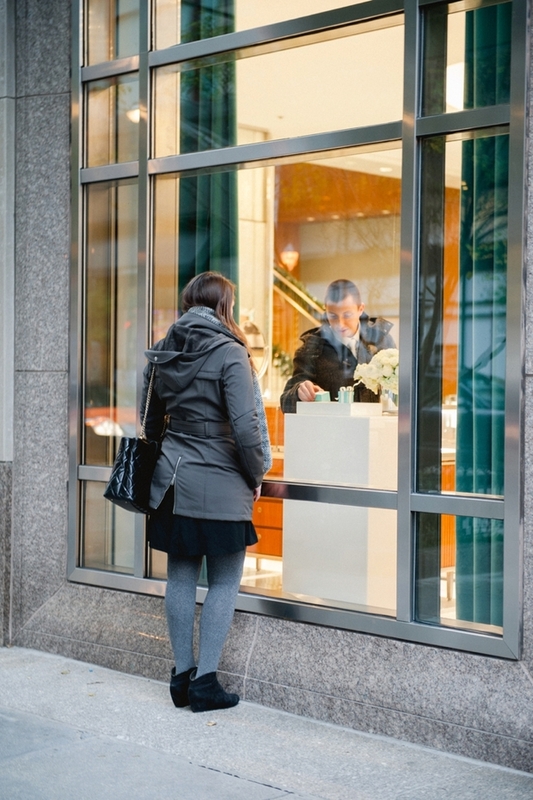 Confused, Holly stood there until she saw Deema appear inside the Tiffany’s window, where he plucked the beautiful ring from its pedestal and walked towards the door. As he approached her, he was surrounded by a 4 piece ensemble playing a song from one of her favorite movies and a bevy of friends. He got down on one knee and asked her to be his wife.She said yes. 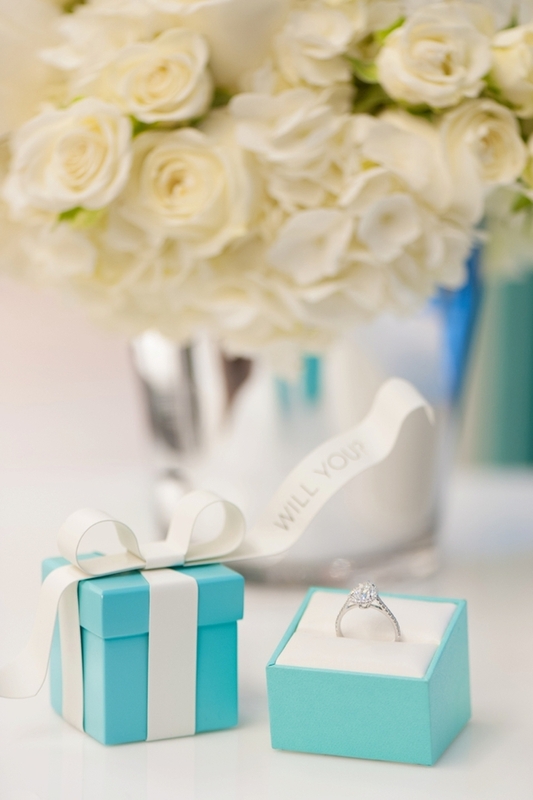 Shortly thereafter, the group convened inside a private room at Tiffany’s where they sipped on champagne and toasted to the festivities to come.